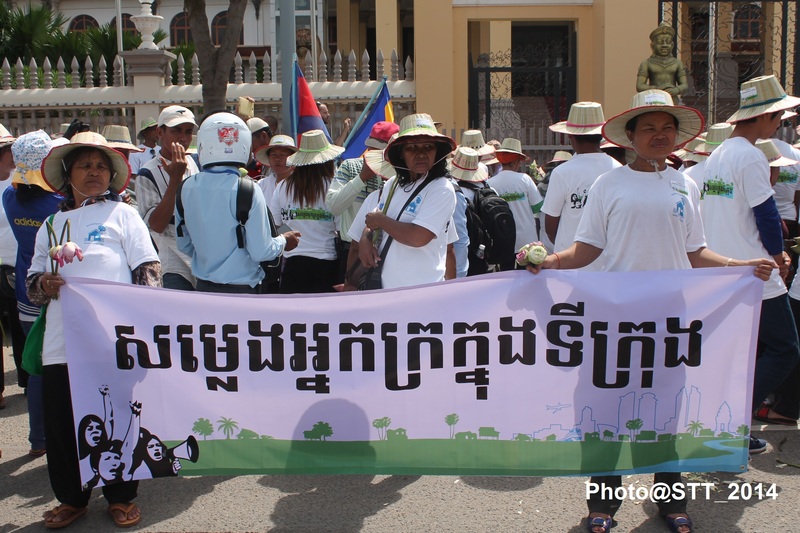 On October 6th, more than 1,500 people—community members, monks, students, tuk-tuk drivers, CSOs, and other civilians—gathered near the former Dey Krahorm neighborhood for the World Habitat Day March. 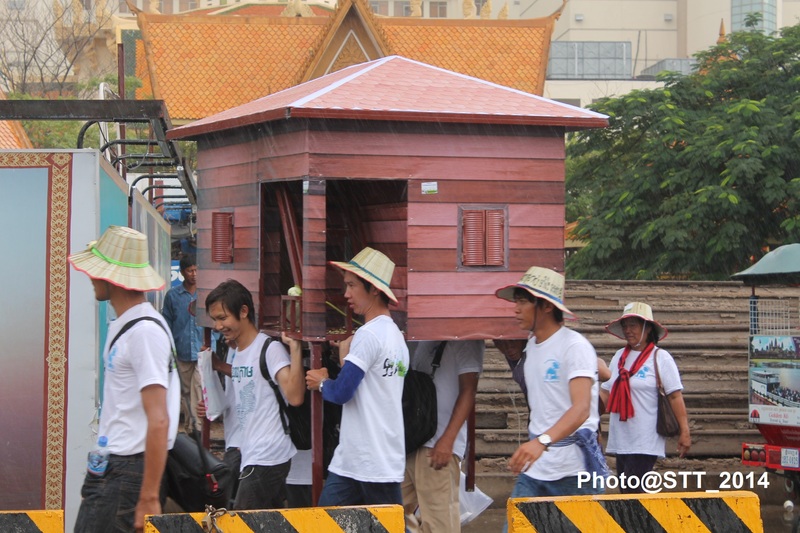 At 10am, the procession headed for the National Assembly to deliver a petition calling for the government to stop land and housing evictions and properly compensate those who have already been evicted. 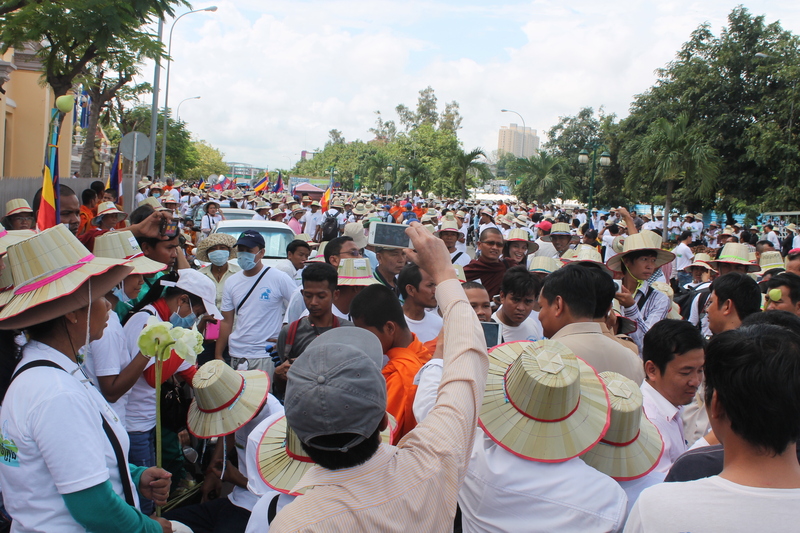 At 12:30pm the demonstration moved on to deliver the second petition in front of Wat Botum. 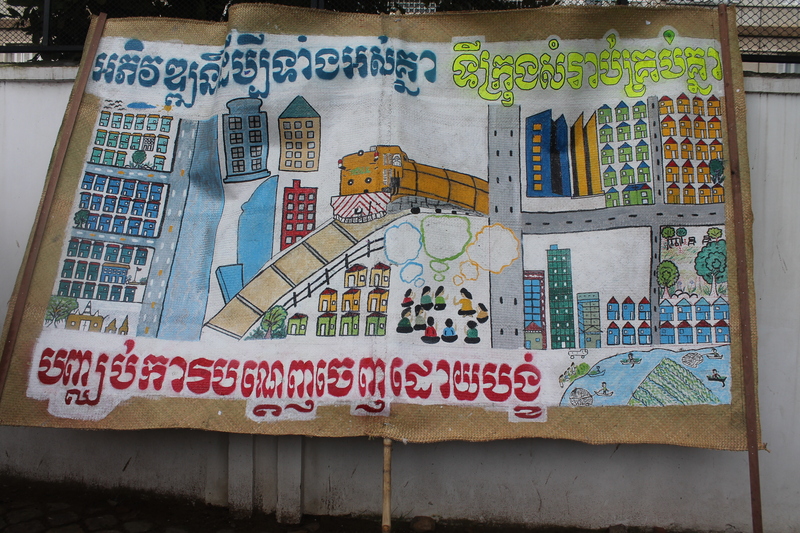 At 2:30pm, a meeting was held at the CLEC office to reflect on the event.